SOMALI Region, 20 April 2017 – When Basazin Minda was requested to support the acute watery diarrhoea (AWD) response in Somali region, he did not hesitate. 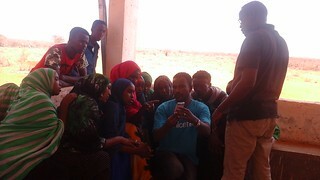 In fact, within one week, he handed over his duties to colleagues in UNICEF Oromia team and was in Jigjiga office. Complex emergencies are not new to him. He was in Gambella when a South Sudanese refugee influx necessitated immediate WASH response. And when an AWD outbreak threatened lives in the southern cross-border town of Moyale, Basazin led the AWD WASH response and coordinated joint Kenya and Ethiopia control mechanisms. This is part of why he loves working with UNICEF – there is full support and resources to take quick action as well as the flexibility to respond where needed when communities are facing crisis, such as the AWD outbreak. One lesson he learned from those past emergencies was that to have an impact, it required extensive human resources in the affected areas. Recently hired WASH Information Management Officers (IMOs) were available to support his team and he soon learned about UNICEF Health section’s C4D (Communication for Development) consultants, which could help spread the critical WASH messages to stop the spread of AWD. AWD describes infections that can result in easily transmitted and potentially deadly diseases. The spread of such disease is very high in areas with water scarcity and can have a devastating impact on children who may already be undernourished. Additionally, those living in crowded spaces with poor access to WASH facilities, like the many temporarily displaced families, also face a higher risk. The recent AWD outbreak peaked in Somali region in February 2017 and now more than 50 per cent of the woredas (districts) are reporting active cases. 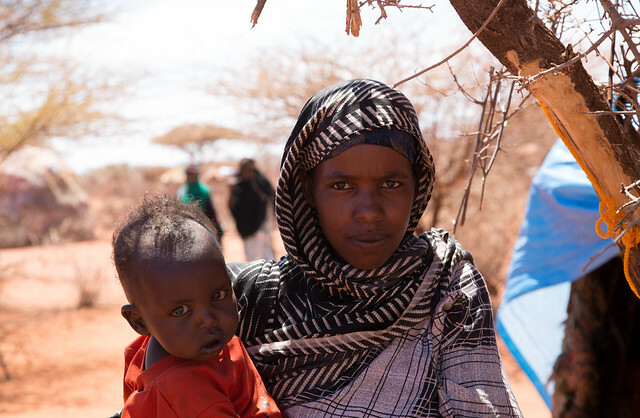 Particularly due to the current Horn of Africa drought, there are refugees coming from neighbouring Somalia, as well as temporarily displaced Ethiopian Somalis, as people move in search of water, food and pasture for their livestock. The predominately pastoralist Somali region is the worst drought-affected area in Ethiopia with over 30 per cent of the region’s population requiring food assistance in 2017. 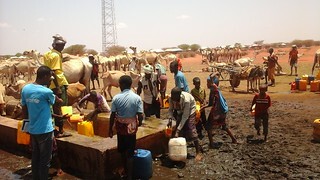 Living conditions of these temporarily displaced people are often inadequate and widespread open defecation poses a risk of the spread of AWD, among other disease outbreaks. Upon arrival, Basazin began a series of discussions with people from UNICEF, the Regional Water Bureau (RWB) and the zonal command post. What he learned immediately on the ground was a little different than he had prepared himself for. He came for mass chlorination of boreholes to stop the spread of AWD. However, he identified that boreholes are protected. “This is what can be so interesting about emergencies. You go in with one mind set and task and immediately are faced with a reality that may differ. The problem was not the water sources, so the contamination had to be happening at some point after water is collected, either during collection or storage,” Basazin explains. Like detectives, Basazin and the newly formed team began contacting local water office staff and meeting with various community members to pinpoint where this contamination was coming from. The team concluded that contamination was occurring from water trucking, during the transport of water (usually by donkey cart) and at the household level, where dirty jerry cans were utilized repeatedly. Now the task has shifted to a multi-effort approach including mass chlorination of water trucks, community awareness campaigns to ensure clean jerry cans and training sessions for local water staff on chlorination standards. The RWB staff know about chlorination, however at this critical time of drought and AWD, with a mobile team equipped with testing kits, jerry cans and barrels of HTH chlorine solution, everyone was eager to learn more from practical demonstrations. A key lesson that was missing before now was how to calculate correct measurements of chlorine according to the container size to ensure disinfection. Referencing UNICEF WASH guidelines, Basazin prepared a guideline of chlorination and turbid water purification with these specific calculations included and it was subsequently distributed to all water offices in the region. The feedback was positive after the training and RWB staff proliferated the learning by sharing demonstration photos through their Viber group, a mobile messaging application utilized by all Somali RWB staff. Basazin did not always explain the calculations and guidelines. Another lesson his work has taught him is to tailor his WASH messages according to the audience. “AWD bugs will attack the water if it finds it without chlorine and consequently the attack will reach to human beings.” There was laughter when Basazin used this metaphor. The team is working through Good Friday, the big Easter holiday and weekends to curb the outbreak and spirits remain high. Basazin’s energy and commitment to ensuring his work has impact is easily detected as he speaks. “I like to learn today and implement for tomorrow,” he says. “Perhaps another idea coming from this mission is that we should highlight a jerry can and water truck washing day, just as we promote handwashing day.” He is also quick to admit this is not a one-man show. With the UNICEF Jijiga and Addis team and the community, mass chlorination is taking place exactly where needed to curb the AWD outbreak. “Everything has a solution,” Basazin declares. DANOT, SOMALI, 15 February 2017 – “A woman never tells her age,” says Sadeh Abdihayii with a smile, affirming that this taboo is common around the world. She then admits to be 40 years old. We continue, asking her how many of her children are in school. With eight children ranging from nine months to 20 years old, none of them, including Sadeh, have been to school. Ever. Sadeh had hoped one of them could go to school, but circumstances did not allow. “It seems sensible to learn, but we have not been able to,” says Sadeh. Sometimes Sadeh’s family lives in the vicinity of an organized village or town, such as now just outside Qorile kebele (sub-district), yet often they can be far away from any organized services including healthcare and schools. This is the life of a pastoralist family. Sadeh’s family is one of the over 800 families that have temporarily settled in Danot woreda (district), in the eastern horned-tip part of Ethiopia. 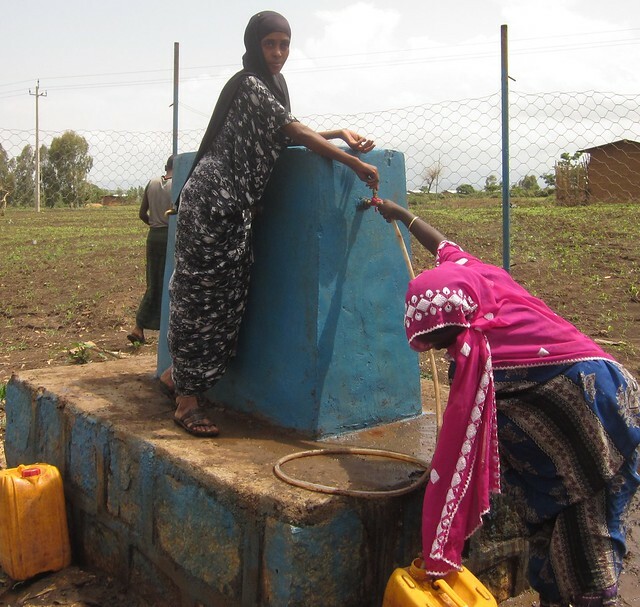 The Government of Ethiopia (GoE) has set up these temporary sites to provide life-saving medical and nutrition services, water and food during this drought period for one of the most vulnerable communities in the country, livestock-raising pastoralists. 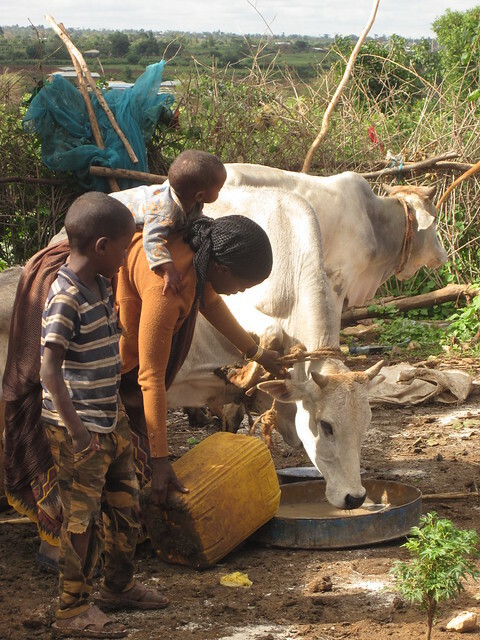 Drought has hit these lowland areas across the Horn of Africa many times over the years, but Sadeh has never experienced one that devastated her livestock to this extent. Due to the negative Indian Ocean Dipole (IOD), a weather phenomenon, the December rains failed, making it 12 months since many villages in the area have experienced rain. 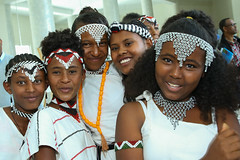 It is understandable why school has not been possible for many of these children, whether considering the current food and water shortages, or the nomadic patterns of their life. The regular school system does not fit into this lifestyle and it is a reality that is not often at the forefront of parents’ worries. 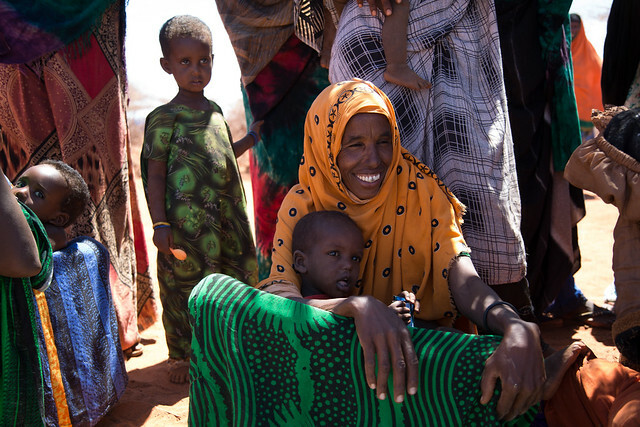 With little or no safety net, pastoralist mothers and fathers are concerned with water, food and grazing land. 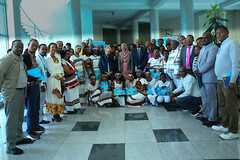 The GoE however, in partnership with UNICEF, has developed alternative methods to reach children, even those in remote areas. 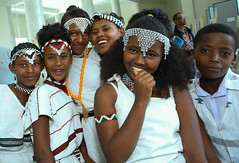 With support from UNICEF, the Ministry of Education (MoE) has developed a pastoralist education strategy which is implemented across Somali and Afar, as well as some parts of Oromia and Southern Nations and Nationalities and Peoples’ (SNNP), regions where pastoralists are prominent. The core intervention is a school equivalence programme, adapted for children ages 7 to 14, where students learn the equivalent of the first four grades of primary school before transitioning into formal schools. This Alternative Basic Education (ABE), is based on the national education system but has altered facets wherever necessary to make it feasible for the pastoralist context. Such alterations include low-cost construction of schools as well as flexible locations and schedules to accommodate children who herd their families’ animals or move in certain seasons. While ABE is the most commonly implemented strategy for inclusion of pastoralist children, reaching 276,777 students over a period of six years, the GoE encourages families to enrol their children in formal schools whenever possible. UNICEF supports this initiative by identifying and addressing barriers to children joining school. Such interventions range from rehabiliting WASH facilities at schools to ensure proper toilets and water is available, to constructing temporary learning spaces or formal schooling in addition to providing exercise books for families who cannot afford the expense. Additionally, the GoE implements a school feeding programme to encourage school attendance, currently in 252 schools across Somali region. 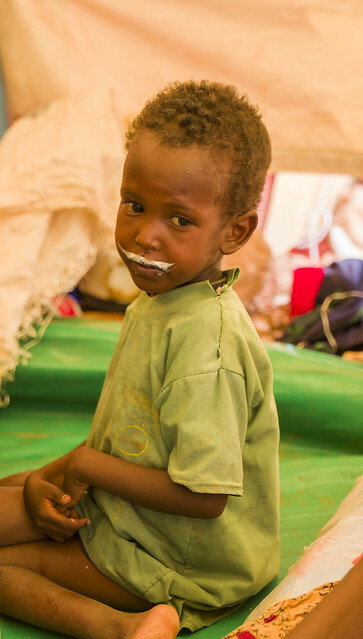 More than ever, these crucial interventions are needed now , particularly as hundreds of ABE schools across Somali region are currently closed due to drought conditions. Families gathered near Qorile, such as Sadeh’s, are encouraged to enrol their children in the Qorile primary school, which is within walking distance, even if it may only be for short term. 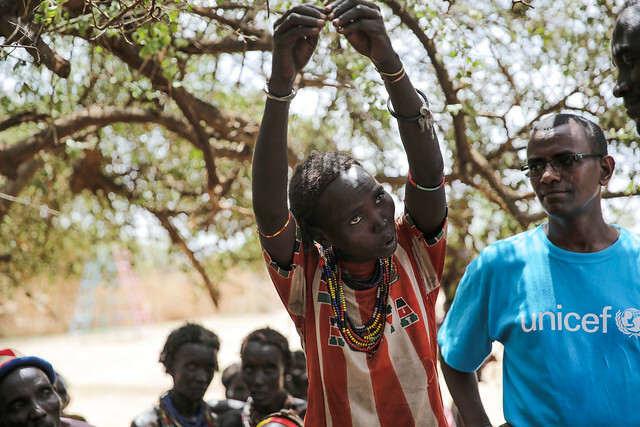 While the drought situation is dire, there is now an opportunity for thousands of children to attend school while their families are receiving temporary assistance to keep their livelihoods afloat. 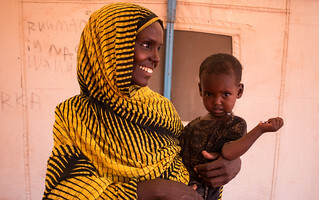 Sadeh’s eldest child, Halimo Bandais, comments, “I thought about school sometimes. But I have always been looking after the animals and we are moving here and there. How could I? But some of us will, perhaps my child.” Perhaps he will attend school one day. For now, hundreds of school-age children such as the girls neighbouring Sadeh’s tent, Feysa and Isthel, may be able to finally start their education while in the temporary settlement sites with adequate funding. UNICEF is committed to the right of every child to receive an education. With contributions from international donors, the GoE, along with UNICEF and other education partners can expand programmes such as ABE or temporary learning spaces to ensure children such as those temporarily settled in Qorile, have an opportunity to access education.